Flashpoints Special report by Kevin Pina. In an exclusive interview Pina speaks with Thomas Heinz in Paris, France, the attorney for Haitian citizen Berthony Jolicouer aka Amaral Dulona. Duclona was extradited to France for trial after being accused of killing a French citizen. 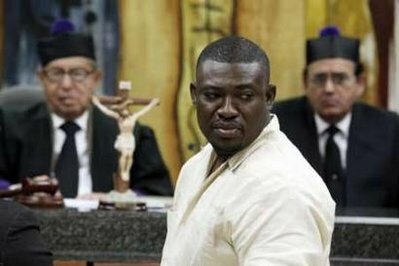 many saw the trial as politicized after the French government accused him of being a gang leader carrying out a series of murders on the orders of former president of Haiti, Jean-Bertrand Aristide. Duclona was found not guilty of all charges after his lawyers proved the evidence against him in the case was false.